Agr International is a leader in the design, manufacture and support of quality assurance and process management equipment for the packaging industry. The employees of Agr help container manufacturers and brand owners produce safe, high-quality and cost-effective products. The heart of our business touches many people every day as they drink a beverage from a plastic or glass bottle. We are proud of what we do and how we help the global packaging industry protect their brands. Everyone at Agr is an important contributor to this effort. From administration to engineering to manufacturing operations, quality control and product support, Agr invests in developing and engaging our employees to provide the packaging industry with innovative and sustainable solutions. Join Agr and be a part of our worldwide team! Everything we do at Agr begins with our engineers. Our excellence in engineering has spanned over the life of the company. The development and enhancements of our products come from the expertise and education of the engineers. With highly innovative engineering, Agr is able to provide our customers with the products that they need to ensure they are delivering their best to their customers. 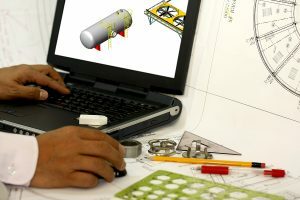 Agr provides engineers of all experience levels the opportunity to offer ideas, processes and knowledge in the pursuit of supplying the best possible solutions to our global customer base. Interested in becoming a vital part of the Agr team, send your resume to hr@agrintl.com. As a global leader in rigid packaging quality control, Agr maintains a highly qualified staff of field service technicians to cover equipment installation, maintenance, training and customer support. Service team members at Agr play a critical role in product development and maintenance and are responsible for the technical interface with customers around the world. Agr’s Technical Service team provides support to customers as well as our engineering and sales personnel by incorporating education, experience and factory trained knowledge into their everyday duties. Agr maintains service offices in several locations in the United States as well as in Brazil, China, Germany, Italy, Mexico, Poland, Russia and Thailand. If you have a technical background, like to travel to new places and enjoy helping customers, the Agr Technical Service group may be the right fit for you. If you are interested in becoming part of the Agr Technical Service team, send your resume to hr@agrintl.com. Agr customers expect high quality, long lasting and dependable products when they receive them in their plants. Our manufacturing facility in Butler, PA, is responsible for ensuring this happens. This section of Agr maintains many positions from the beginning of the manufacturing process to the crated product. 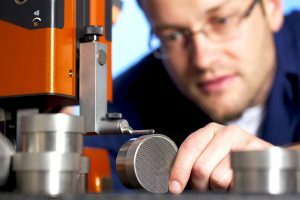 A piece of Agr equipment normally starts its journey with material handling and progresses through the machine shop, electronic assembly, mechanical assembly and check out. Each piece of Agr equipment is thoroughly tested before being prepped and crated for shipment. More details on any open positions within our manufacturing department are posted in this section of our website. If you would like to submit your resume for possible openings, please send it to hr@agrintl.com.